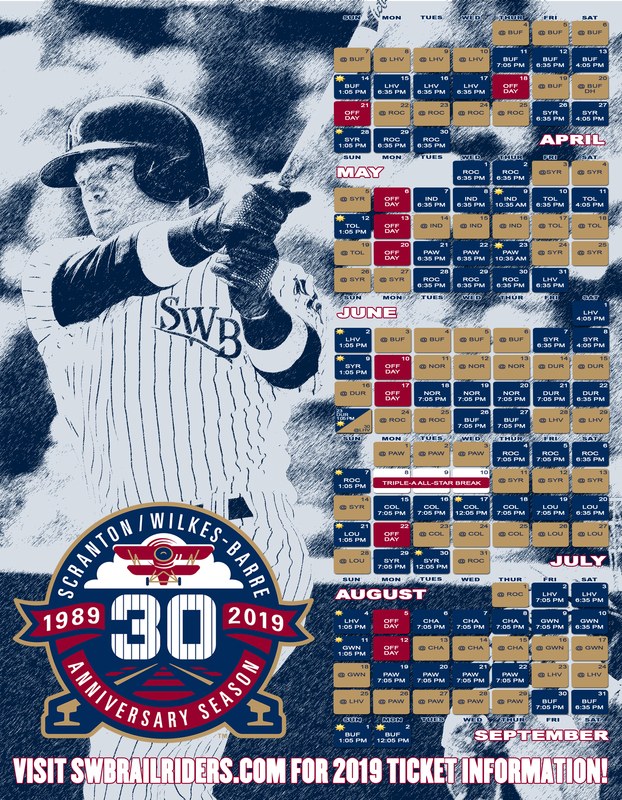 ALLENTOWN, PA (April 8, 2019)- A flurry of offense in the first few innings from the Scranton/Wilkes-Barre RailRiders, but one decisive swing by Dylan Cozens of the Lehigh Valley IronPigs and the RailRiders dropped Monday's series-opener, 5-4. It was a beautiful, 74-degree night at Coca-Cola Park and the baseballs were flying all over the outfield early. SWB put three runs on the board off IronPigs starter, Drew Anderson. Mike Ford singled with one out and stood at second base with two outs when the rally began. 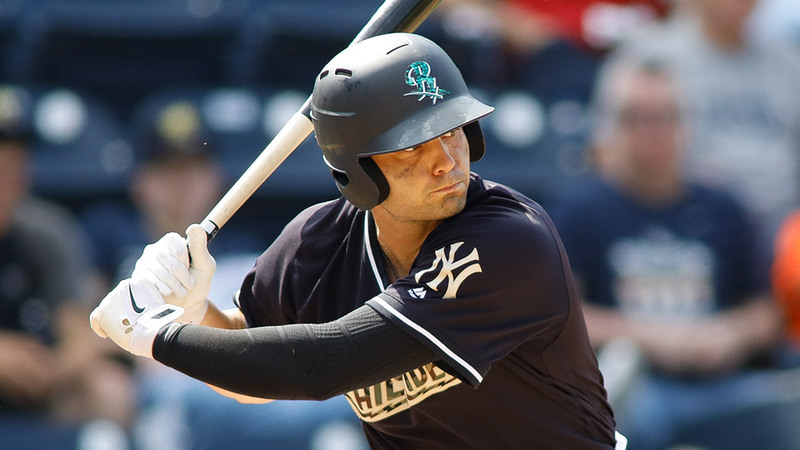 Ryan McBroom, Gosuke Katoh and Kyle Higashioka all delivered run-scoring singles in the frame and it was 3-0 RailRiders before Drew Hutchison threw a pitch. Lehigh Valley struck for a run in the bottom of the first off Hutchison, but SWB got it right back thanks to a leadoff triple from Billy Burns an inning later. He scored on an RBI groundout by Matt Lipka. The real damage by Lehigh Valley came in the bottom of the second where Dylan Cozens drilled a no-doubt grand slam to turn a 4-1 deficit into a 5-4 lead from which the RailRiders offense could not rally. The RailRiders bullpen was excellent in back of Hutchison, not allowing a run over 3.1 IP while surrendering just one hit. Both J.P. Feyereisen and Joe Harvey were efficient, recording the final 10 outs on just 36 pitches as they hoped their offense would spark a come-from-behind win. Instead, the RailRiders fell to 2-3 on the season with the IronPigs improving to 4-1. The RailRiders and IronPigs return to action Tuesday night at Coca-Cola Park for the middle game of the three-game series. LHP Gio Gonzalez (0-0, 18.00) is scheduled to make his second start as a member of the New York Yankees organization and he will be opposed by LHP Jojo Romero, the No. 7 prospect in the Philadelphia Phillies organization who has not yet appeared this season. First pitch is set for 7:05 p.m. with pregame coverage at 6:35 p.m. on the RailRiders Radio Network with Adam Marco and Adam Giardino.